Just a few years ago everyone was talking about how mobile apps were the next big thing and were going to change the face of digital health and that has come true. Now, it seems the next big thing in digital health is voice assistants, which are changing the game when it comes to healthcare. Just like mobile apps, they have a multitude of ways to ease experience for the patient and the provider – in a hospital and at home. Like mobile devices, one of reason voice assistants are able to make such an impact is because of their popularity. There are projections that 50% of all searches will be voice searches by 2020. At the end of 2017, Amazon’s Alexa voice assistant was number one on Apple’s App Store while Amazon’s Echo Dot reigned supreme. Apple Siri, Google Home and Assistant, and Microsoft Cortana are also available, but among all of these Amazon is the most popular in hospital settings. The other reason they are popular for healthcare is ease of use. People can speak to them as they would speak to a normal person–which eliminates the need for a complicated introduction. This even applies to the senior population: Front Porch conducted a pilot study among seniors which found they felt Alexa made their lives easier. In this study the participants used Alexa for around the house requests, asking about the weather, setting alarms and timers, playing music, getting news and general information. All those surveyed said they would recommend it to a friend. As seniors make up a large population of those needing healthcare and have a greater need to be in more constant communication about their health and health needs, the feeling that they can trust and utilize these assistants is very beneficial. Several hospitals, such as Boston Children’s Hospital and Beth Israel Deaconess Medical Center, are experimenting with voice assistants and conversational artificial intelligence (AI) technologies to provide relevant information and answer any questions of patients and medical staff. In the healthcare setting, where sterile operating fields and infection control are priorities, hands-free, immediate access to information has big advantages in terms of safety and efficiency. Boston Children’s ICU allows nurses to ask for key administrative information which saves time they would have spent chasing down information. The efficiency saves time in critical moments during a procedure, or when a decision needs to be made. Voice assistants are also being used in patients rooms so the patient can get basic questions answered easily: “Can I get a nurse?”, “ When will my doctor be here?”, “What is for lunch?”, etc. 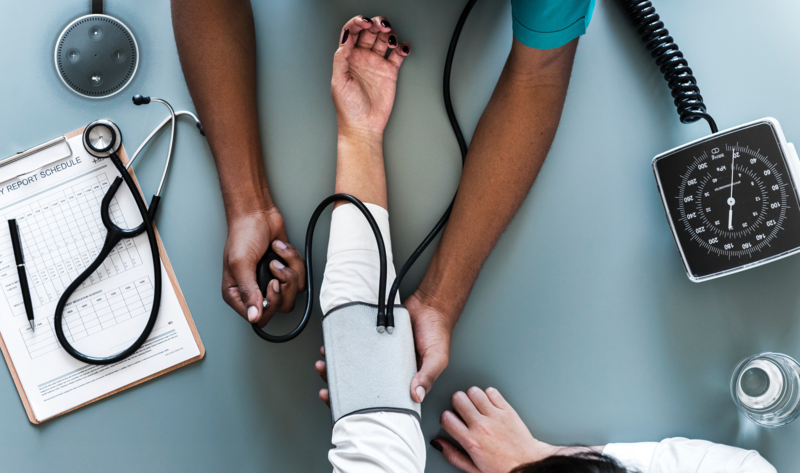 For patients use at home, The Carolinas HealthCare Skill currently allows patients to get information about the nearest urgent care and hospital locations, as well as the approximate wait times at those locations. A Commonwealth Care Alliance member could use voice assistant technology to schedule their personal care attendant – the technology can then check on schedules to see who is going to be on the next shift. Patients can set reminders for routine tasks such as taking medications, setting up doctor appointments, and other medical events. Boston Children’s Hospital also launched an Alexa Skill called KidsMD that allows parents to ask for simple health advice, like information on common conditions and medicine dosing. Challenges in building voice apps are very different than in building mobile apps. You have to take your content and make it voice ready – which means more interactive and conversational. You wouldn’t want the voice assistant to just talk at you for 5 minutes, you need to allow for a back and forth. Voice assistants require you to think about the content that you are supplying completely differently. There is also the need for the voice assistant to recognize things like colloquialisms or mispronounced drug names when a patient is speaking to them. If you want people to speak to them conversationally, you have to consider how most people actually speak. HIPAA compliance is also a concern for any private information that might be discussed. Amazon has created a team to become more familiar with providing healthcare information and advice while staying compliant. Voice assistants can be very useful in the delivery of healthcare in the day to day. There are still some kinks to work out to understand the best use cases for voice assistants, but there is much promise and excitement surrounding them. As patients become more engaged with these assistants, and they become more utilized in healthcare services, companies should look for new and innovative technologies that could help their overall strategy. While the technology is still rather new, voice-activated personal assistants have the possibility to change how patients interact with their healthcare, as well as how healthcare staff and physicians provide care. Ultimately, voice assistants hold great promise for healthcare — promise that may be realized sooner than you might think. Want to talk about voice assistants in healthcare? Have some other great ideas about healthcare and mobile apps? We’d love to hear from you! Contact us here! If you want to know when our blogs are posted ASAP, sign up for our newsletter here.